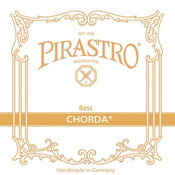 Chorda are intended as a historically authentic gut string. However, they are often used by jazz players. Plain Gut G and D, with Silver Plated Wound A and E. The special Carlos Henriquez set is available only from Pirastro directly.